Gareth Bale is likely to miss Wales' next UEFA Nations League match against the Republic of Ireland on Tuesday, according to manager Ryan Giggs. 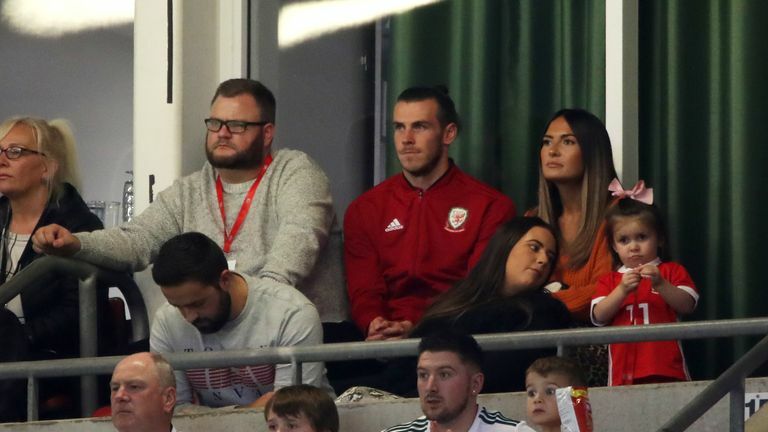 Bale had to watch from the stands as Wales lost 4-1 to Spain in a friendly at the Principality Stadium on Thursday, with the 29-year-old suffering "muscle fatigue" after being substituted in Real Madrid's shock 1-0 defeat to Deportivo Alaves on Saturday. "It is very unlikely at this point," Giggs told Sky Sports about Bale's availability after the Spain defeat. "It's nothing serious but obviously the closer we get to the game, we have to make a decision. "At the moment it is unlikely." Bale has scored 30 goals for Wales in 72 caps since his debut against Trinidad and Tobago in 2006. In March this year, he became Wales' all-time top-scorer surpassing Ian Rush's 28 thanks to his first hat-trick in his international career in a 2018 China Cup match against China. Ethan Ampadu went off early in the second half with an apparent knee problem but Giggs played down fears about his premature departure. "Ethan just extended his knee a little bit in the second half - we will assess it and see how it is," Giggs said in his press conference. "We will take care of the lads the best we can over the next couple of days and get ready for Tuesday."